We ran into the lovely Karen Tappin a few weeks back at Naturals Night out DC and were fortunate to get an interview with this vibrant Natural gem. She shared a bit about her journey and provided some kind words of advice for up and coming entrepreneurs. Check out her interview below. Kick back and relax to the tunes of Wondaland artist Roman GianArthur. Going in on nothing but Trillectro acts all the way up until the festival. at this year’s Trillectro music festival. Got an awesome personality and kick a$$ style? Well then you just might be the next Street Intell Style Feature. Here at Street Intell we like to do different things and create fun little add ons to the site. We’ve been doing a series of random Instagram street style features and people have enjoyed it so much that we decided to take it a step further. We not only want to see what people are wearing but we want to know what they’re doing and what inspires them. 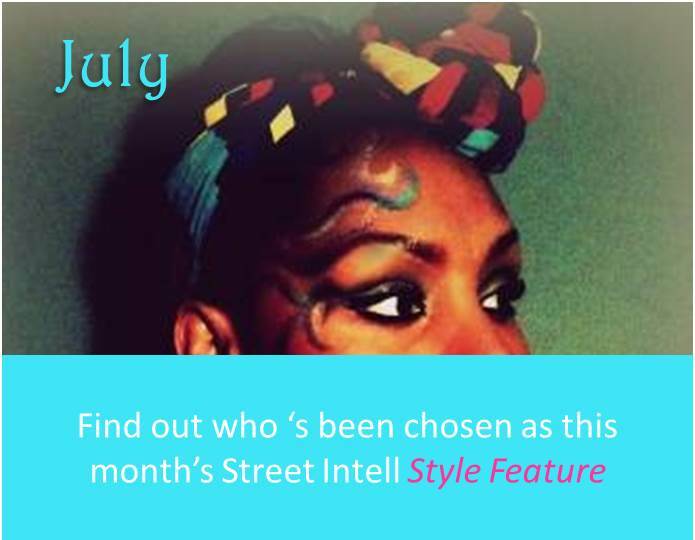 Therefore, we’ve decided to start featuring one awesome Street Styler here on the blog ever month. Inspired by Jet magazine’s beauty of the week expect featuring everyday people and their style.